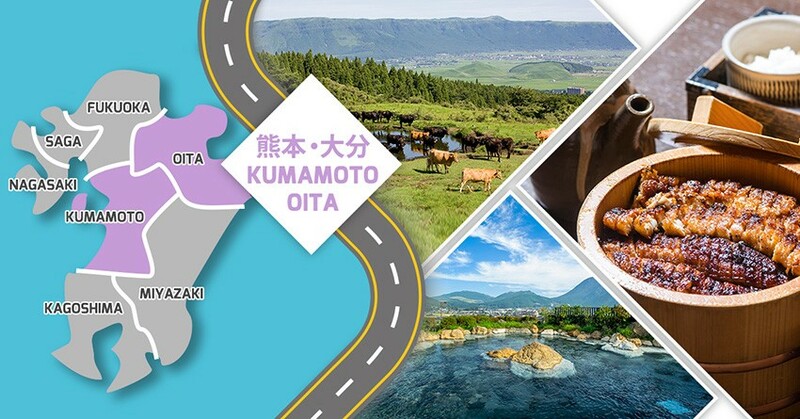 Do you know the places called Oita or Kumamoto in Japan? Both can be reached by train or car immediately from Fukuoka, and are popular spots in Kyushu for their hot springs and nature. Since March 1, 2019, AirAsiaX starts to operate four direct flights weekly from Kuala Lumpur to Fukuoka, so it would be much easier to go to Kumamoto or Oita. This time, we will introduce the ideal itinerary to fully enjoy Kumamoto & Oita, starting with Fukuoka. From Malaysia, take the AirAsia direct flight towards Fukuoka, where your journey will begin. This is a course in which you rent a car and drive towards Kumamoto and Oita. Firstly, let's stop by Hita on the way to Yufuin. Hita is one hour away from Fukuoka, and known as the little Kyoto of Kyushu. The old-fashioned townscapes of Hita is brimming with a traditional atmosphere, and the streets are maintained to keep the same environment from the past. For a meal, try some local food such as the chopped grilled eel which cover the rice, "Hita Mabushi"! It is fine to eat as it is, but it is delicious too when it is eaten in the ochazuke (tea) style, where tea is poured over the rice. Besides their eel and rice, you can also try the local yakisoba or fried noodle. The unique characteristic of Hita Yakisoba is their crispy noodles and fresh bean sprouts! Yakisoba served with thick sauce is a specialty of Hita. From Hita to Yufuin, it is approximately 45 minutes by car. 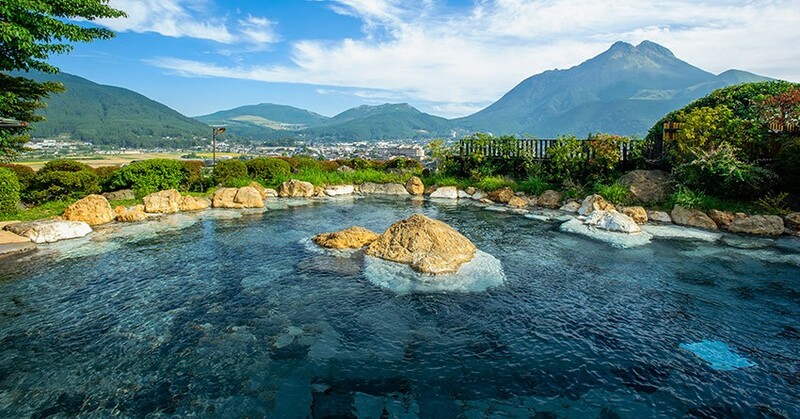 The hot spring area is located at the foot of Mountain Yufu, in another name; Bungo Fuji. It is where you can see the beautiful rural landscape. While enjoying shopping and walking through the Yunotsubo Street which extends straight from Yufuin station, you can go to Kinrin Lake. The mirror-like lake surface is definitely a photo worth posting on your Facebook timeline or Instagram. Additionally, Yufuin with many art museums is also famous as a city of art. Here, you can also admire famous works from famous American painters such as Norman Rockwell, Marc Chagall and more. Speaking of Yufuin, it is one of the country's best hot spring tourist spots. 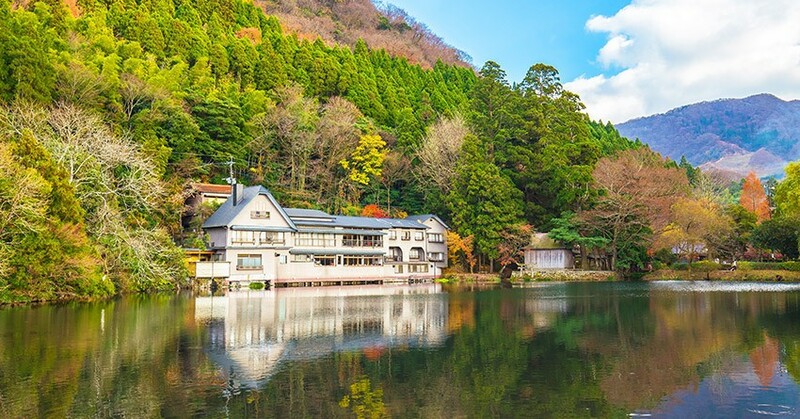 We recommend staying at Yufuin for a night! Rest and recover from fatigue as you soak in the hot spring at Yufuin which is surrounded by nature. If you are shy to enter a public bath, you can look up hot spring resorts with private bath areas which you can reserve. It takes one hour and half to travel from Yufuin to Aso, Kumamoto. The Yamanami highway is one of the top drive courses in Kyushu with a magnificent scenery. 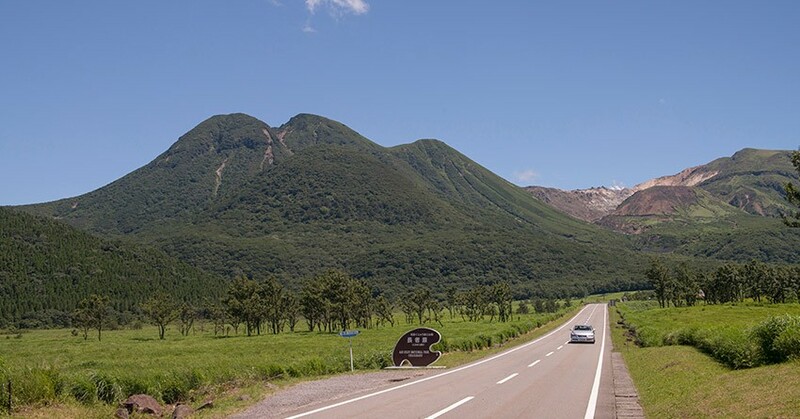 You can enjoy the spectacular view of Kuju Mountain Range (九重連山) at one of Japan's 100 most famous roads. 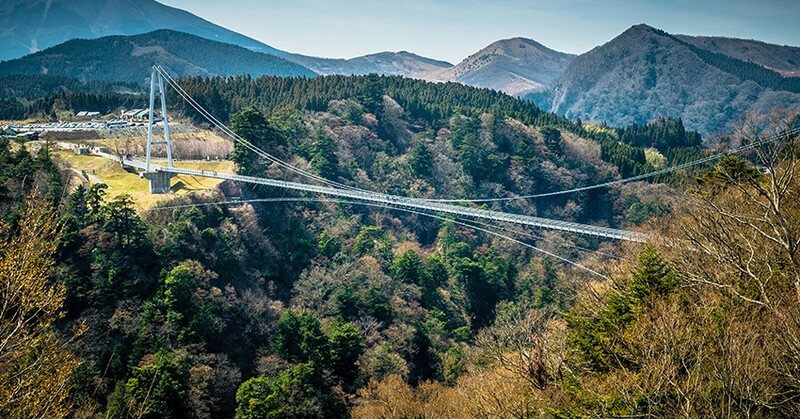 While you’re on the Yamanami Highway, stop by the Kokonoe Yume Suspension Bridge. The 390m long, 173m tall, and 1.5m wide bridge opened in October 2006, and is the highest bridge in Japan as a suspension bridge which is only used exclusively as a walkway. The 360-degree large panorama at the bridge is unmistakably the best view for "the sky walkway” which must be Instagrammable. Mt. Aso is an active volcano located in Kumamoto which is popular for their mascot Kumamon. Because of the volcanic gas, the ropeway and the loop bus which go to the crater are currently restricted. Instead, head to the best scenery point of Mt. Aso, the Daikan Peak. Other than the peak, Kusasenrigahama is a must-go place. Here, you can try horseback riding while surrounded by the splendid natural environment. Aso is also famous for Aka Ushi (red cattle) besides the amazing scenery. The local beef is a lean red meat and it contains a moderate amount of fat only, so it is good for health. The red beef steak is something you must try while you’re there. It takes around 2 hours to travel by car from Fukuoka. We suggest taking the Shinkansen back to Fukuoka for a relaxing way home. By Shinkansen, it takes 40 minutes to go to Kumamoto from Fukuoka. By Kyushu Sanko from the Hakata Bus Terminal, it takes around 1 hour 45 minutes, it costs around 2,060 yen (one-way) or 3,700 yen (two-way). By train, it takes 1 hour and 45 minutes to reach Oita. By super non-stop highway bus, the journey will be 2 hours 25 minutes long, and costs 3,190 yen one-way. For a two-way ticket, it is 5,660 yen. Bus reservation required. You can also stop by Hita City if you’re travelling by highway bus. It takes 1 hour and 3 minutes if you take the highway bus to Hita City from Fukuoka Airport. Then you can ride another highway bus to Oita which will take around 1 hour and 10 minutes. 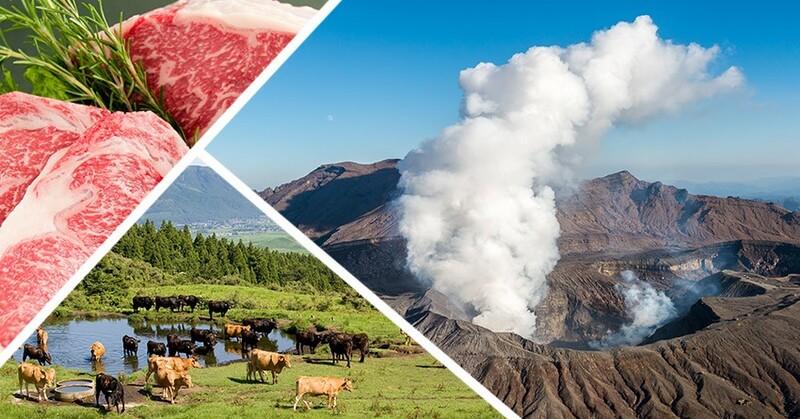 What do you think about going to Kumamoto or Oita? Surely there is something you’d love to do in one of these lovely cities in Kyushu. Share with us your favorite activity in Kyushu!